The perfect wedding gift or a unique memento for the happy couple. The personalised Mr and Mrs 'Guestbook' printed with your chosen surname and date, will arrive ready to be filled with happy messages on the special day! 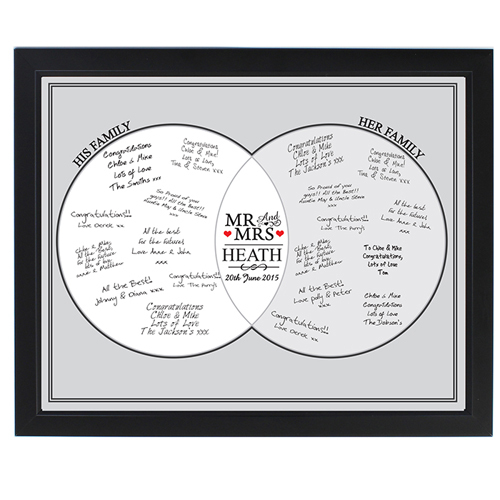 This Mr & Mrs Wedding Framed Guest Book Print, is presented in a black frame and can be personalised with a Surname up to 12 characters long and a Date up to 20 characters. 'Mr & Mrs', 'His Family' & 'Her Family' is fixed text on this item.